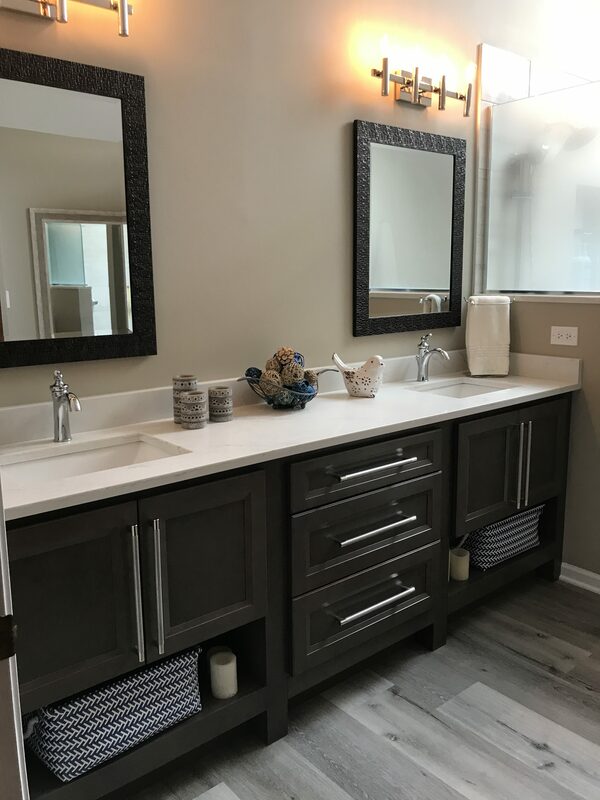 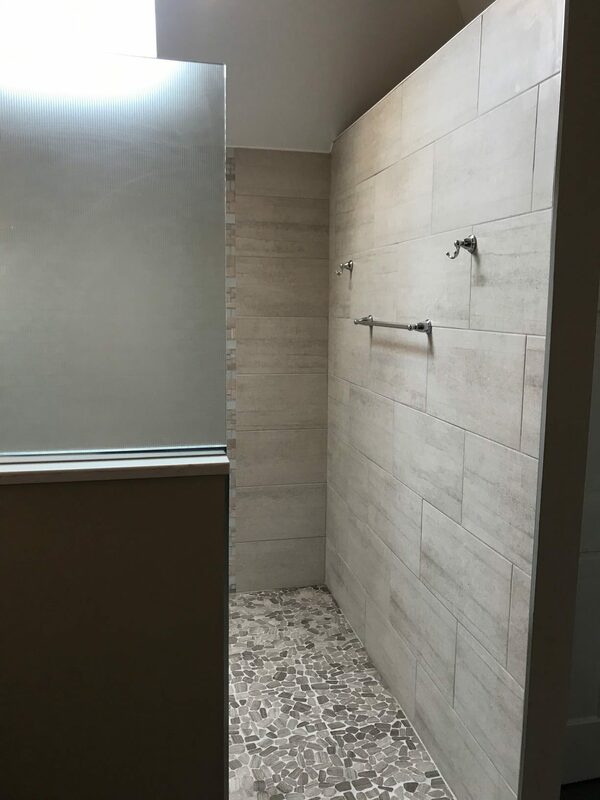 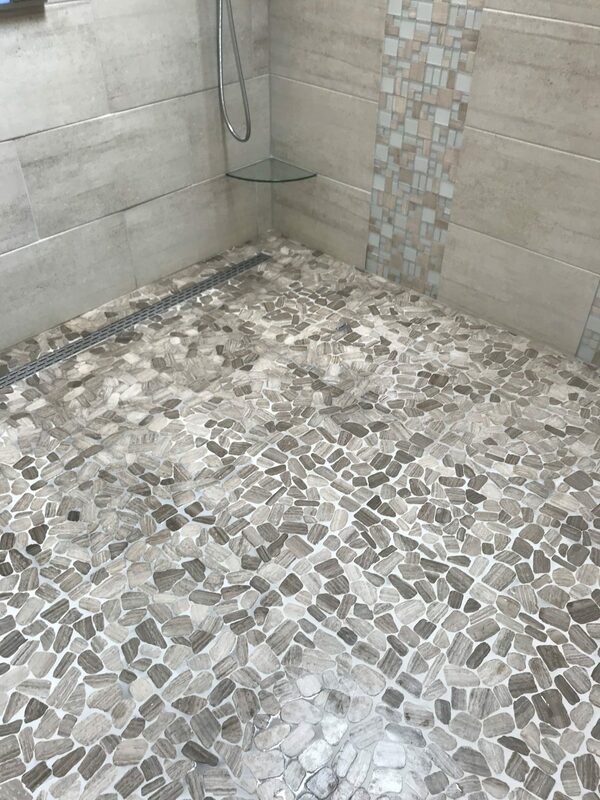 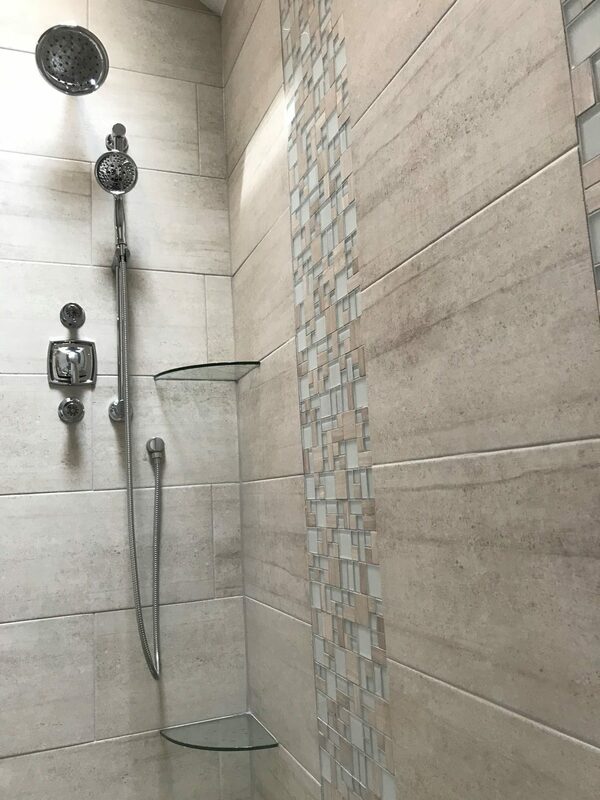 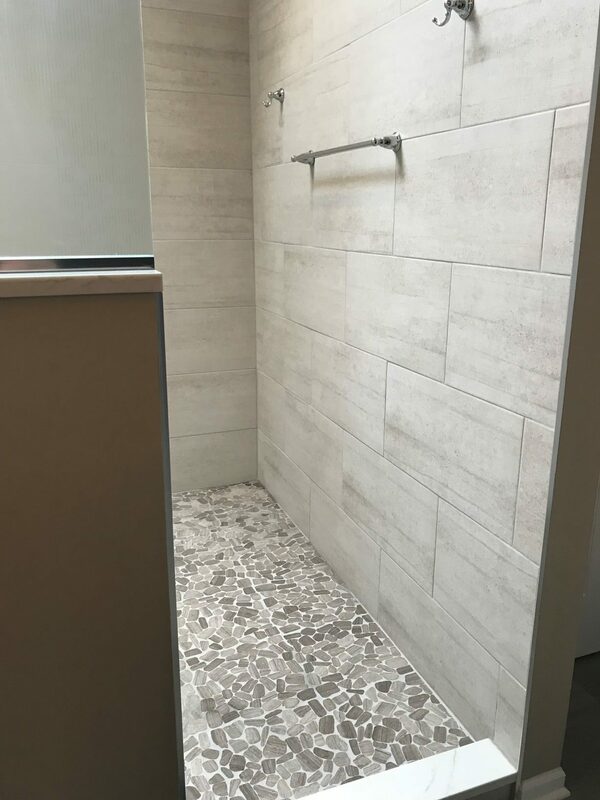 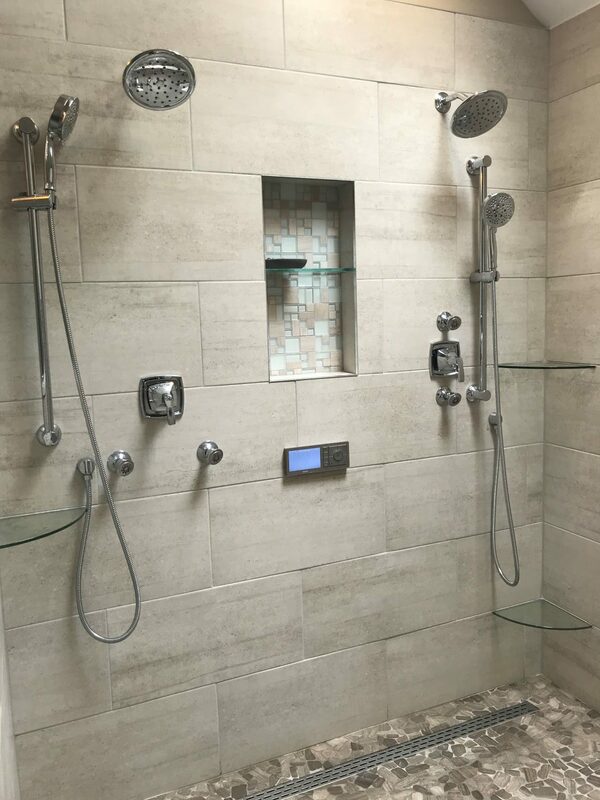 This Master Bathroom features a large two person shower, complete with individual shower heads and a U by Moen Smart Shower Control System. 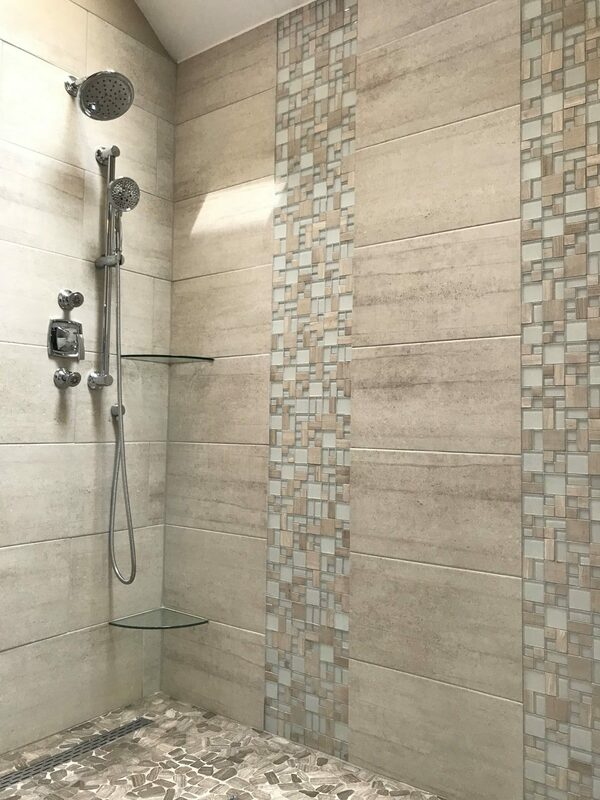 It also boasts exquisite tile detail including a pebbled floor. 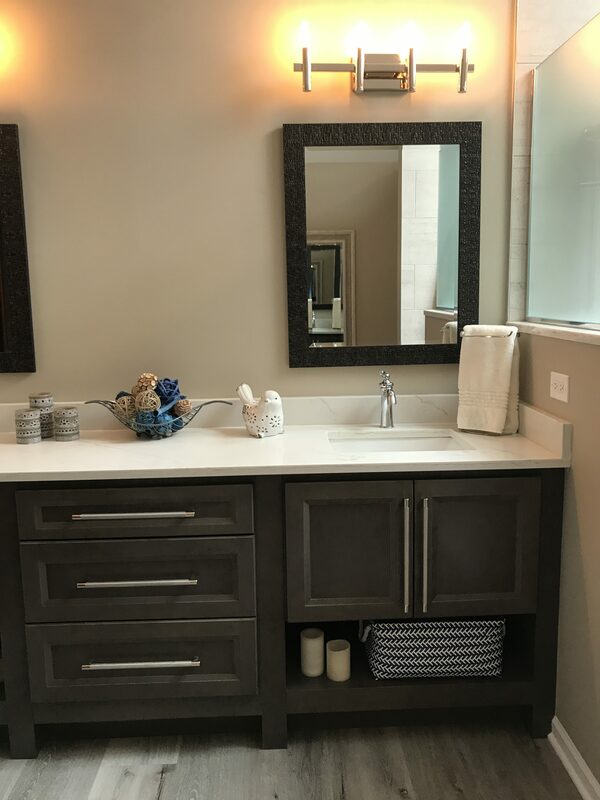 A large Maple cabinet provides plenty of storage and ample counter space.